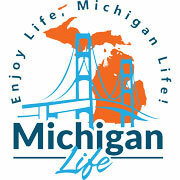 Michigan Life's Region 10 Gaylord Area including Alcona County, Alpena County, Crawford County, Montmorency County, Oscoda County and Otsego County Michigan. Join us for a variety of special events and activities through out the Spring, Summer, and Fall months. Mt. Bike over 20 miles of beautiful single track trails that tour through a vast Oak Forest. Enjoy our 2 signature Disc Golf Courses that challenge all levels of players. Santa Is Coming and will arrive in Gaylord for the Santa Light Parade in downtown Gaylord. Activities under the pavilion on court start at 5:30pm Hot chocolate, coffee, food, photo booth, live music,kids activities, sleigh rides, and more!!! Parade with marshal Sid Dawson starts at 6pm. Alpine Snowmobile Rentals can get you out on the 300+ miles of groomed snowmobile trails in the Gaylord area with a high performance Polaris snowmobile. We are located just feet from the groomed snowmobile trails, so you can rent your sled and go in the snow. The annual pumpkin patch starts again this October. Call Brandie today to make a reservation at (989) 272-3312. Weekend hay rides are on a regular schedule at 11 a.m., 1 p.m., and 3 p.m. Other times are available by appointment. Please arrive at least 10 minutes early! Your visit back to the year of 1932 will begin at our well stocked Visitor Center. Amish farm baked pies, jams and jellies, hand made wooden toys, books and gift items are tastefully displayed for your browsing. As you leave through the back door of the store a shuttle will be waiting to transport you back to the historic comples. Enjoy a leisurely walk through one of Michigan's historical museums in the outdoors! Life size dinosaur reproductions, nestled among 25 acres of beautiful land provide an educational, entertaining and exciting change of pace. There are many photo opportunities, including a view from atop the pteranodon nest! There’s no time for the Winter Blues in the Alpine Village! Our community is bustling with frosty fun this February, as we present the Annual Alpenfrost. Michigan's Sunrise Side greets fall color in late September, and the autumn hues usually linger until mid-October. This 200-mile route travels from Lake Huron's shore to a stunning stand of virgin forest, with lots of opportunities for wildlife viewing along the way.